Everybody expected a lot from EG vs. Team Secret. A faceoff between them was one of several hotly-anticipated conclusions to the International 2015. The rise of Chinese underdogs CDEC put paid to that notion at the time. 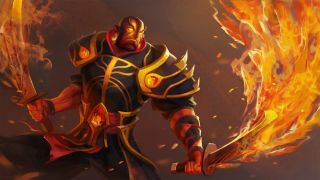 Today, however, the latest iterations of these two western powerhouses duked it out with a slot in the Frankfurt Major grand final on the line. These are players who have history with one another, and these two teams are considered to be evenly matched. Even so, I’m not sure that anybody expected a series quite as good as this. The best-of-three was incredibly intense, and game one was easily one of the best games this year (if not one of the best ever.) We’re talking kill-counts that even out every time one team pulls ahead and gold/experience graphs that look like a sine waves. Even matchups can end up passive, or they can turn out to be one-sided after all. This was neither. This was two of the best teams in the world matching each other, then matching each other, then again, and again, until something finally gave. Completely extraordinary Dota. I’d be really surprised if this match doesn’t go down in history. For that reason, I’m not going to spoil it here. Put aside an hour and watch game one, embedded above. Then, watch games two and three: you can find the links here, just scroll down to the upper bracket final (it’s all spoiler-free). If you’ve got any interest in competitive Dota, you need to catch this one. There’s a decent chance that EG and Secret will clash once again in the grand final tomorrow. That’ll be a best-of-five. If it’s as good as this, I don’t think the crowd in Frankfurt will be able to cope. Don’t miss it: tune in at 14:30 CET/13:30 GMT/05:30 PST and prepare to watch history happen. Again. The official stream is available here.